Lacuna Passage - Devlog #40 - More Greenhouse Props and "IRA"
We left off our art devlog last month with the addition of the plant racks in the Greenhouse. Our newest addition to the Greenhouse is the Pressurized Isolation Unit, or PIU, that is used for isolated experiments on particular groups of plants. 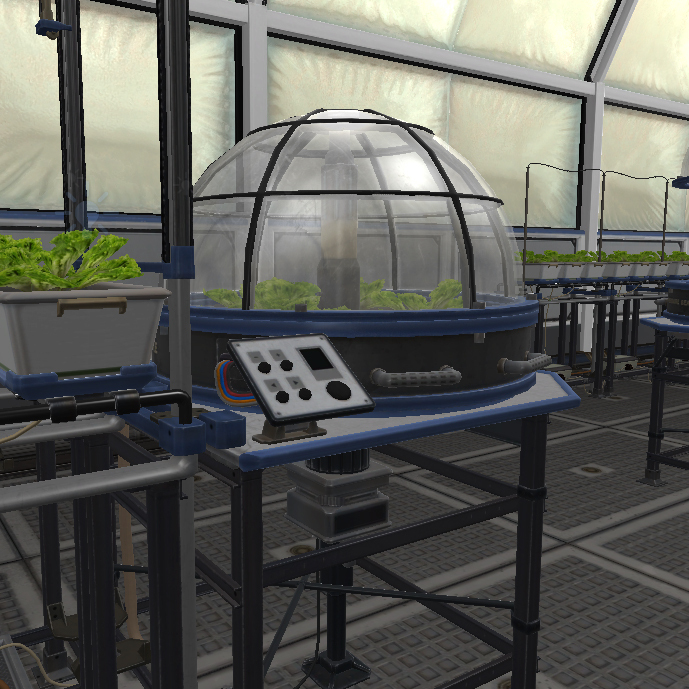 Four PIU’s will be located in the center of the Greenhouse and can be interacted with. Next up we head back to the Habitat module of Foundation Base to finish up some of the more detailed sections of its interior. Near the center of the Hab will be a station devoted to our Intelligent Remote Assistance unit, IRA. IRA will be a computerized assistant, similar to SIRI on iPhones, that is linked to every module in Foundation Base, as well as your datapad and EVA suit. 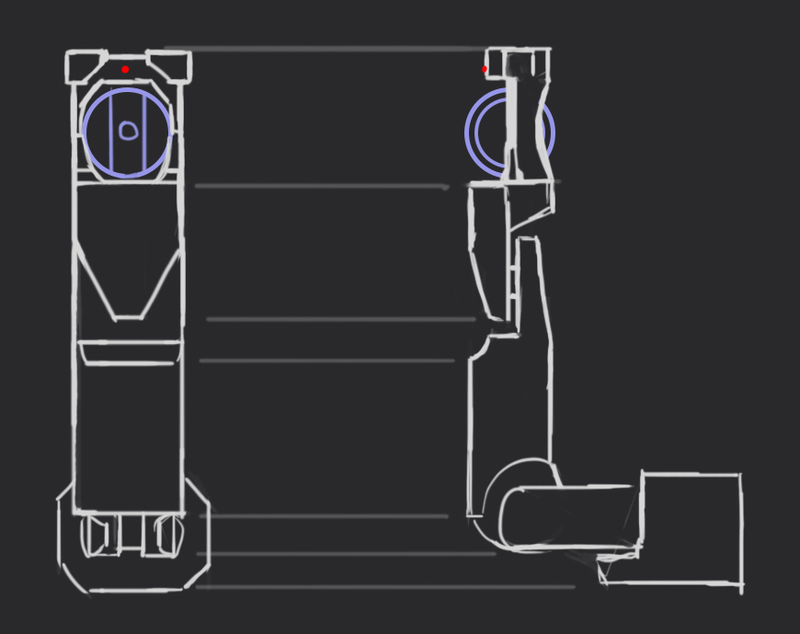 For the most part, IRA will serve as a source of dialogue to help progress the story, but you will occasionally be tasked with bringing things back to the IRA module within Foundation Hab that houses IRA’s on-site computer and 3D scanning system. We want IRA to feel like more than just a digital voice in the game, so he will have a physical camera arm to interact with for scanning and analyzing objects you find during your excursions. 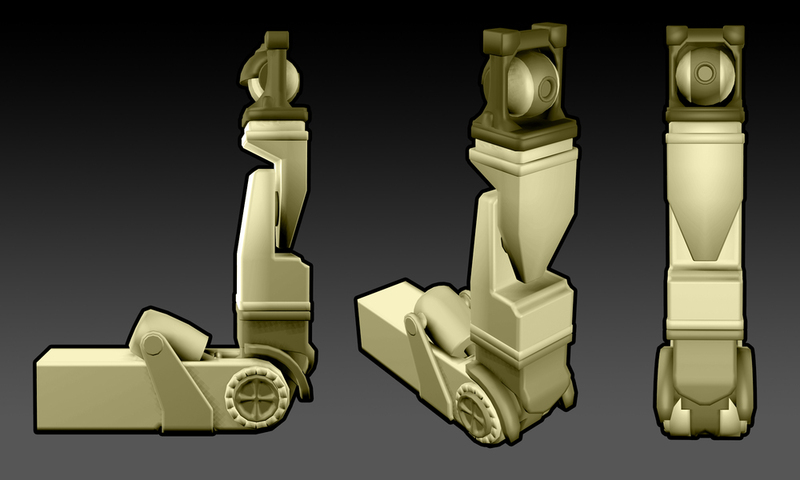 Below are some early low-poly models for IRA's camera arm. We'd be lying if we said that HAL 9000 wasn't at least a partial inspiration for IRA, though we do want to avoid some of the sinister undertones that come with that comparison. We plan on delving more into IRA and the Foundation Hab in the coming weeks, so check back for updates!